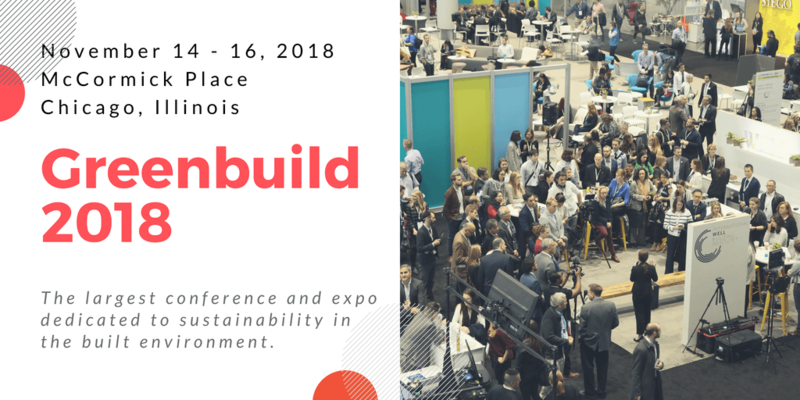 Registration is available for Greenbuild – the in-person experience for sustainability in the built environment. The event is this November in Chicago. In 2018, Greenbuild is enhancing the attendee experience and bringing you new ways to engage and learn. The latest education and a new track. Discover three days of sessions – strategically planned to educate, motivate, and inspire you. This year, we’ve added “The People’s Voice” – a new education track voted into Greenbuild by the public. Additional tracks include Approaching Zero, Zeroing In, and Built to Perform. Journey Maps. See this new way to explore the event. These attendee experiences will guide your three-day journey through Greenbuild on topics that are of specific interest to you. Journey Maps include education sessions, distinctive products, solutions and technology, and experiential learning opportunities. See the journey maps. Ready to register? Learn more about why you should attend, and then register for a four-day or three-day conference pass. Or, explore the floor, courtesy of NAPHN! Use code GB18REGMBRS17 at registration to claim your complimentary expo hall pass. This entry was posted in Recent News and tagged energy efficiency, greenbuild, sustainability.